Figure skating is a supreme sport. A marriage of raw athleticism with delicate poise and gracious movements, it is truly a spectator’s event. 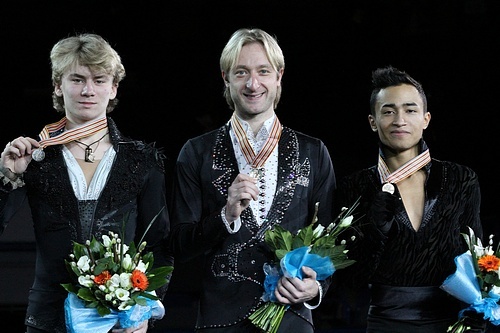 Undoubtedly, two of the leading candidates for male figure skating have been the Russians, Evgeni Plushenko and Alexei Yagudin. Together they have changed the course of the sport and reached new heights that will prove difficult for future skaters to reach. However, while their relationship with one another is now cordial it was not always the case. The older of the two, by nearly three years, Yagudin was born in March 18, 1980, while Plushenko was born in November 3, 1982. Both men were prodigious talents who first experienced the joy of skating on ice at the young age of four. Yagudin went on to win the World Junior Figure Skating Championships at the age of 16, while Plushenko went two years better, winning the same competition at the tender age of 14. Both skaters were taken under the wing of renowned ice-skating trainer, Alexei Mishin. However, this relationship would later emerge to create the conflict and animosity that would come to public attention. 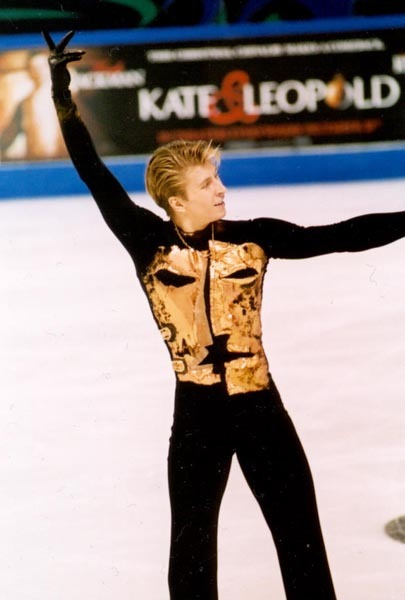 1998 was the year that saw Yagudin win his first big title, the European Figure Skating Championships, beating rival Plushenko into second place. In 1999, no longer tolerant of a fractious relationship, Yagudin left Mishin for good and went to the United States to train under famous coach, Tatiana Tarasova. That same year he lost the Russian National crown to Plushenko. The following year he would go on to win the World Skating Championships. However, 2001 was to be the nadir of his career and he would end up losing to Plushenko in every competition the two were entered. Nevertheless, he persevered through his bad patch and 2002 would be a bountiful year. Winning every competition, Yagudin proceeded to achieve the highlight of his career winning the Olympic title in Salt Lake City in record-breaking fashion, becoming the first skater to be given four perfect 6.0’s for presentation in his long programme. Later that year, he would become the first skater to receive a perfect 6.0 for required elements and six perfect 6.0’s for presentation. However, this was to prove to be the zenith of his career as he had been skating with a problematic hip, a birth defect, and as a result was forced to retire from competition. At the 2002 Olympics, Plushenko finished second to Yagudin. However, shortly afterwards Yagudin retired from competition. This paved the way for Plushenko to win all before him. He would go on to win all competitions, finishing second on just two occasions as he swept to consequent World Championships and Gold at the 2006 Winter Olympics. In 2006, Plushenko announced that he would be taking a break from competition to recuperate from previous injuries. 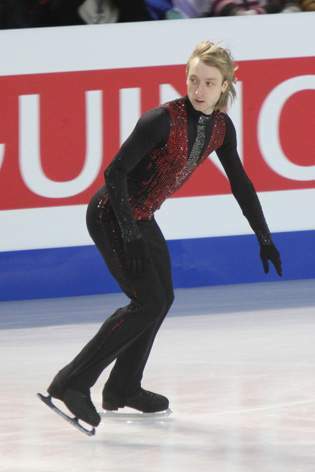 After a gap of over two years, and worried about the stated of Russian Ice Skating, Plushenko returned to competition winning the Russian and the European Championships setting a world record score along the way. 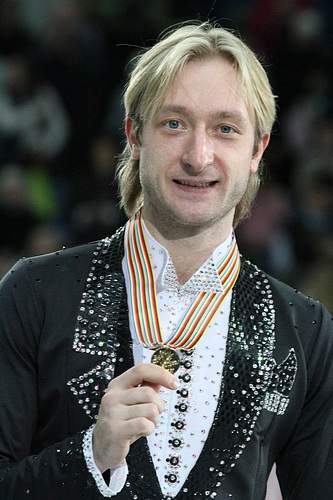 Plushenko has one of the most adorned careers of any athletic or performer. Eight-times winner of the Russian Championships, seven-times winner of the Cup of Russia, six-times winner of the European Championships,-three times winner of the World Championships, Olympic Gold and Silver medal Winner. Likewise Yagudin’s record, while not quite as successful, is steeped in success, four-times winner of the World Championships, three-times winner of the European Championships, and Olympic Gold medalist. The only competition that eluded Yagudin has been the Russian Championships. 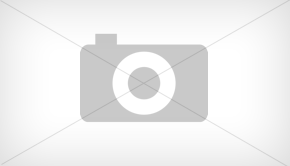 Yagudin and Plushenko had a fraught relationship with one another. Competing against one another and trying to gain the attention of their coach, Mishin, probably did not help matters. However, in a world in which only winners are rewarded and runner ups are quickly forgotten, perhaps it was inevitable that the two would not become close friends. Instead, a rivalry born out of proximity and the competitive nature of the two men would cast a shadow on the two competitors. The situation was exacerbated by coach Mishin who proclaimed Plushenko to be the better of the two skaters thus almost ensuring Yagudin’s departure. However their rivalry also played its part in making the two better skaters. The competition between the two sparked the other to perform better and better as each tried to outdo his rival. Without Yagudin, it is arguable, Plushenko would not have achieved the dizzying heights he is famous for and vice versa, without Plushenko, Yagudin would not have had half the level of success that he has attained. Both men are now fathers. Plushenko has a son with former wife Maria Ermak and, as of September 2009, is married to Yana Rudkovskaya. Yagudin has a daughter with pairs Olympic Figure Skating Champion Tatiana Totmianina. Perhaps fatherhood, and the fact that two are no longer competing against one another, has lead to a healthier relationship between the two. One of the most techincally gifted skaters the world has ever known, Plushenko was the first skater to perform a quad toe loop-tripe toe loop-double loop jump and the first to land a 4-3-3 combination. 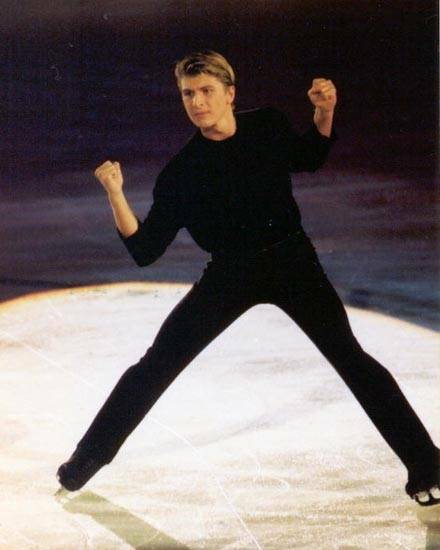 He is also one of the few male skaters to perform a Biellmann Spin, as most men lack the necessary flexibility. Yagudin is known for his incredible footwork and choreography. He also has the ability to melt his performances so that the viewer sees music as a living entity. Check out Yellow Magpie’s Evgeni Plushenko Quotes: Words From A Revolutionary Skater to see what the man thinks about winning, competition and his fans. its true that both men made HISTORY on figure skating…Congratulations to both!!! Thanks for your comment Ioanna. Both are brilliant skaters and have had a massive impact on the sport. Do you have a favourite? Yes, both have talent, style, and that certain indescribable Olympian quality. I think the rivalry push each higher and by doing pushed the sport. They have left a mark on the sport and continue to do so as all others are still compared to them; both of them. Because really how can you compare someone to one but not talk about the other. The common part of me would love to read the whole story. Thank you for your insightful comment, Amy. You are probably right, the competition between the two of them no doubt compelled Yagudin and Plushenko to strive towards greater heights. I haven’t watched figure skating for years and only discovered Plushenko when he came 2nd in Vancouver in 2010 Olympics. Perhaps he was slightly less “perfect” technically than Evan Lysacek during the Olympics but there was no comparison as far as showmanship is concerned. Lysacek is colorless. Plushenko overwhelms any other competitor with his charisma & flair now that Yagudin is no longer competing. Since Feb.I have watched EVERY competition of Plushenko that I could find in internet as well as certain shows. Even those with commentary only in Russian which I do not understand! His intuition of performing with violinist Marton was terrific, their dual performances are spell binding! Such beautiful music. Tribute to Nijinsky (my favorite) or Tosca are magnificent. let’s hope he never retires! Thank you for your comment, Jeanie. I am delighted that your interest in figure skating has been rekindled. It is a pity that Yagudin is retired, however, Plushenko is a wonderful skater. I too hope that he never retires, Jeanie! Plushenko is all sizzle and little steak in the artistic department. Yes, he has terrific jumps – but he hides the fact that his footwork is amateurish by over-using his hands and flinging his hair around to distract you from his lazy feet. He really has nothing in-between the jumps, which is the essence of the new Code of Points system. That cigarette puff thing he used to do was a perfect example of what I’m talking about. He also used to front-load his programs with all his jumps so that there really was nothing going on after the first 90 seconds of his program. He was a product of his time and that time has past and been taken over by skaters such as Patrick Chan – who is still only 18 years old. Watch out! Thanks for your comment Rick. We hope you come back soon. Thanks for your wonderfully insightful comment, Ana. Yagudin was, and is, a terrific skater. One of his most impressive abilities was the sumptuous way he expressed the music through skating. For that alone, his place will always be secured in skating history. Don’t be too harsh on Plushenko though! All successful performers have an exhibitionist streak. Although some disguise it while others just like the limelight more so than others! Besides, intense competition raises standards and makes people perform better. Thanks for stopping by and we hope you return again. It is a great sport. Although it is much harder than what these two make it appear! If you have not seen Plushenko’s “Tribute to Nijinsky” program – then you can not talk about his “lack” of artistry! Superb art and sports in one – all 6.0 for presentation! Thanks for comment Marina, and special thanks for the link. Plushenko is masterful. I had a love a hate relationship with Plush for a long time, loved him for adding excitement to competition, hated him for being Yags rival…now that Yags is gone, Plush is still hanging on for dear life – it really shows how sparse the field of talent is in figure skating today. There are no new superstars, and don’t mention Patrick Chan – he is not on the same level as Yags or Plush for that matter. Two great skaters, Kat. Thanks for your comment. plushenko still on!! @Sochi2014, is he the same though? Eu não conhecia nada de patinação artística, pois no Brasil não temos esta modalidade, mas Plushenko despertou me mim este interesse. Fiquei muito triste porque Plushenko necessitou abandonar o programa individual. Mas por tudo que ele fez, é compreensível. A Rússia foi recebeu este presente. Viva Plushenko!! !